The entries are in. I have to check the fax machine at our office to see if any others came in late yesterday afternoon or last night, but otherwise, the contest is closed. Here’s what happens now- Next week the judges will render their decision and the winners will be announced here, as well as contacted via email. Then, I’ll interview of the top winners and introduce them to us. Thanks to Jeff Smith for producing his YouTube video promoting the contest. Over 5700 views for that vid! 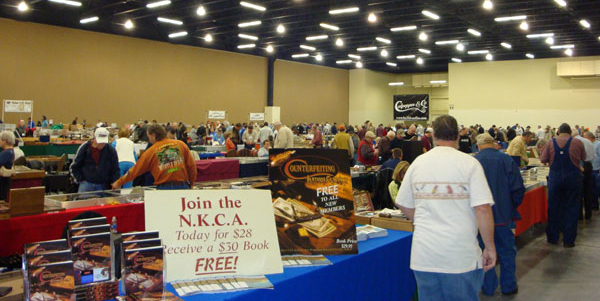 The National Knife Collectors Association promoted the contest to all its members- Thanks Lisa! The NKCA will be giving one year memberships as part of the awards too. More to come next week as we announce the winners.